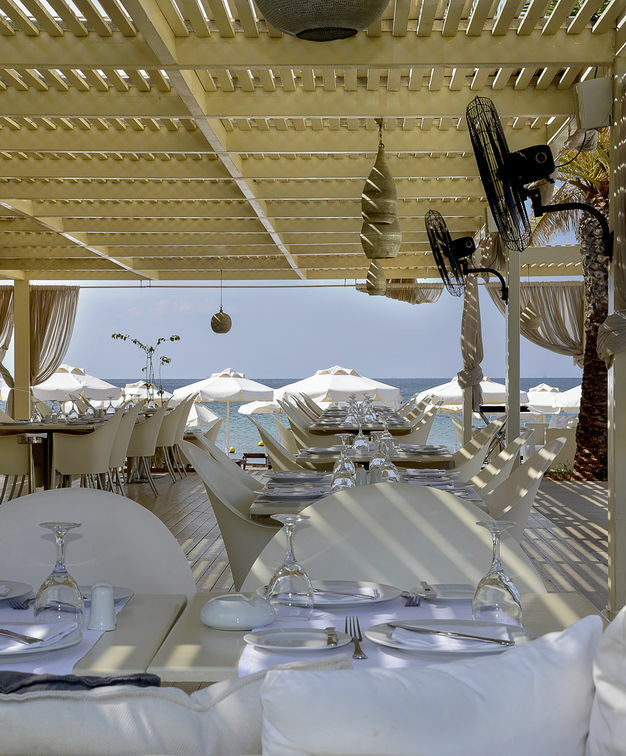 A gorgeous Greek beachside refuge just 30 minutes from Athens' international airport. 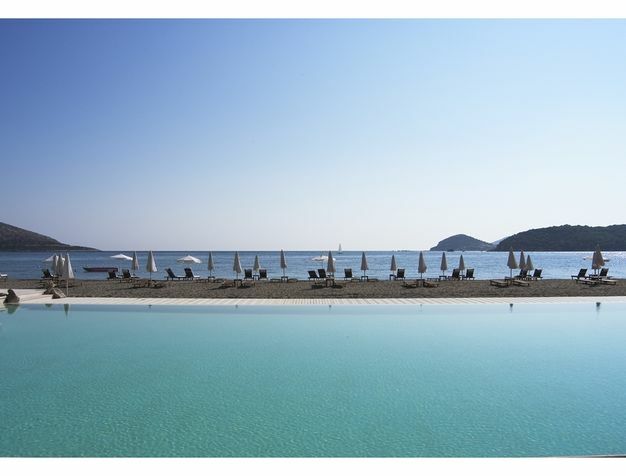 This well-appointed, elegant resort is eminently positioned on a private stretch of the stunning Anavyssos beach in the Athens Riviera, just 25 km from Athens' international airport. Lined with swaying palms, restaurants offering a mix of modern menus and traditional seafood delights, waterfront cocktail bars and sandy beaches and rocky coves. Refurbished in 2017, the Plaza Resort in Athens, located far enough to escape the crowded downtown Athens, without being out of reach of the culture and history, benefits from a laidback contemporary decor complemented by high ceilings, open spaces and smart surrounding gardens. An inviting 25-metre rectangular swimming pool sits between the 132 guestrooms and a private stretch of beach, complete with sun loungers and a pool bar. Private beach, swimming pool, sports and water sports facilities, Spa services and children's programs. The Plaza Resort Hotel offers 132 spacious and plush family rooms and suites decorated in light tan hues, wood and leather to create a relaxing atmosphere. Nice hotel on a beautiful beach, one of the hottest seas I ever experienced! Warm and pleasant to spend time in the sea. 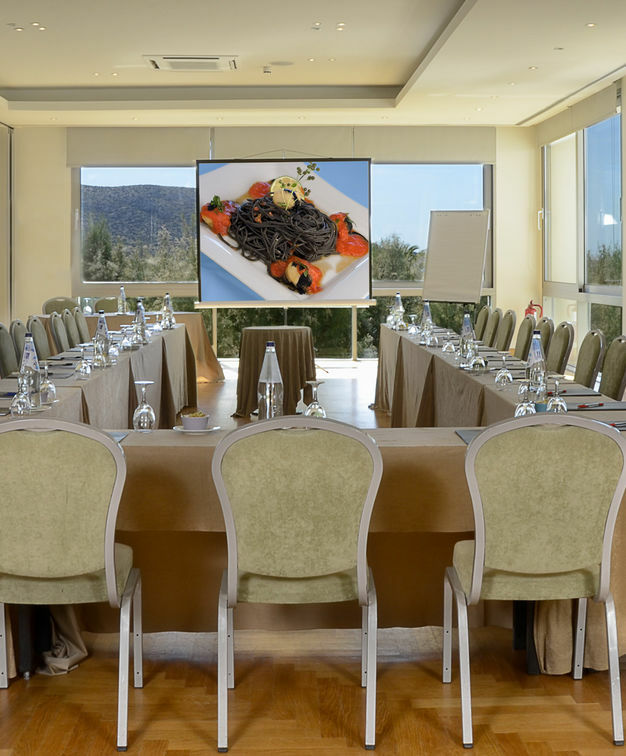 At the same time hotel has good business facilities and is big enough to host several groups at the same time. Among Athens foremost meetings facilities, the Athens Plaza Resort has 2 onsite conference halls and 6 breakout rooms offering a combination of elegance, professional services and leading technology that can comfortably accommodate any meeting or event involving anywhere from 10 to 1200 participants. 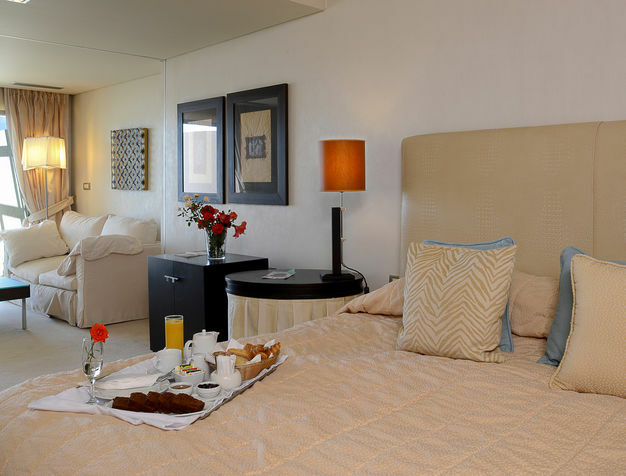 With 2 onsite restaurants and 2 bars, the hotel offers gastronomy diverse gastronomy ranging from elegant and refined Mediterranean a la carte cuisine to casual light snacks, a poolside beachfront bar, complete with lounging chairs and umbrellas.